I never thought I’d do it. Really. I had no plans (ever) of going back. But guess where I am? Yep….back home. As in home – home. Southern Ohio, home. Where I grew up, home. And isn’t it funny how things can stay the same and yet change so much? Anyway, we had fun visiting, eating spaghetti (you can tell she is part Italian, and also married to one…crazy good!) and just hanging out and lovin on them for a while. I never want to leave when we are able to see them all…it’s always far too long between visits with them. I also really enjoyed catching up with my Uncle. 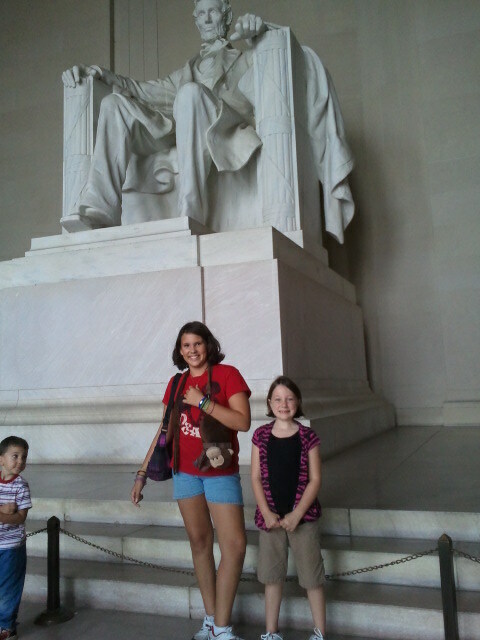 The kids and I walked DC for a bit, saw the White House, the Renwick Gallery, the Mall, and the Lincoln Memorial. I have to say that for those of you who haven’t been to DC and are planning to go, do not be deceived by the distance from the Washington Monument to the Lincoln Memorial. It looks fairly short…but you get halfway there and need to take a nap! Especially when the legs following you are rather short. 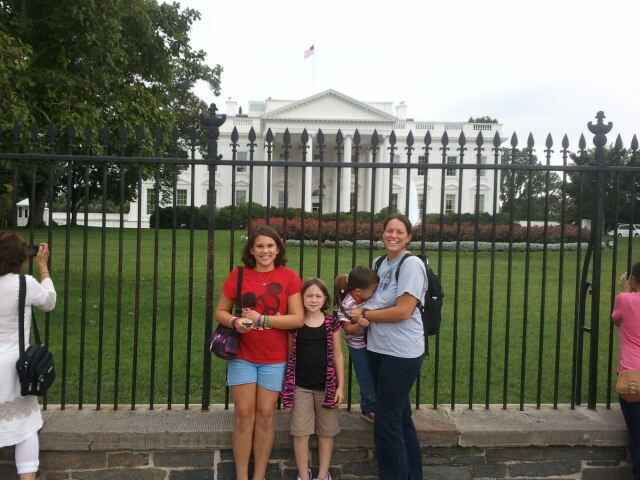 But all in all we really enjoyed our day in DC. And the kids loved riding the Metro! He then got ”the call” as it’s know around here, that he needed to go to Baton Rouge for a week of training. So, we boogied out of DC and headed to where I wanted to be in Southern Ohio before he left on Sunday. It was easiest for him to head out (and return) from Columbus, OH while the kids and I did our thing there. We also realized it was easier for him to ride the bus up to the airport from Cambridge…and FAR cheaper too! So we dropped him at the bus station and then went to the Iron Show in Caldwell, OH to catch up with some friends of mine. I ended up getting more than I bargained for! I had intended to see my old friend Jeremy Clift and ended up seeing Molly and Sarah Highman (i forget their married names), my old neighbors the Hines’, and Craig Morrison. It was a fun afternoon which included my son’s introduction to the itchies that happen after you play in the hay! 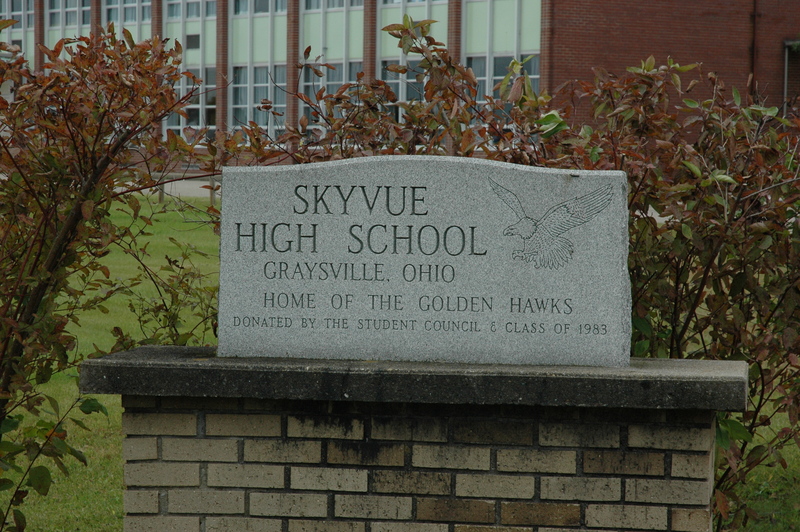 The next day we spent visiting places I spent my youth….Skyvue High School, the Hines’ home, and driving out the ridge where I used to live. It was a really great day and I’m glad we took the time to do that. We had some relaxing time and then drove into Woodsfield to visit with my old friend Jan (Evans) Cochran for a while and have coffee. 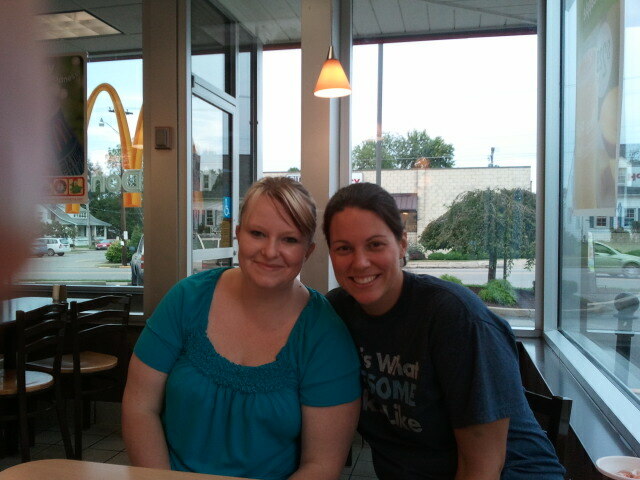 I haven’t seen her since high school and it really was great to see her again….I look forward to new (old) friends! We drove up to Columbus on Friday to meet up with my Dad on Saturday for breakfast. I realized that Grace and I are fated to hook up or set up in the rain. Every time she and I have had to do it ourselves it has been raining! But we are definitely getting our groove going and it goes pretty smoothly most of the time. I had a great time with my Dad…I miss him a lot and usually get to see him once a year. I’m hoping with our new found freedom that we can visit those we love more often than we have in the past. We picked up Carl from the airport and made the drive to Terre Haute, Indiana on Sunday, my birthday….but that’ll be the next post!